Dr. Crispell has multiple convenient locations throughout Delaware county in southeastern Pennsylvania. 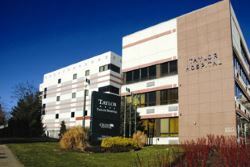 His main office is based out of Riddle Hospital in Media, PA. House calls are no lonager available. 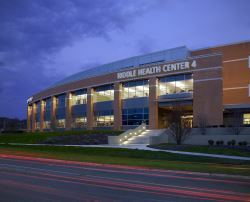 The Health Care Center I building is directly connected to the South side of Riddle Hospital. If entering from the Main Entrance to the hospital near the ER, walk past the ER and follow signs for Health Care Center I. Take the elevators to your right up to the 2nd Floor. If entering the hospital from the outpatient pavilion/rear parking garage, take the elevator to the 3rd floor of the outpatient pavilion. Take the walkway towards the hospital until you see the elevators for Health Care Center I on your left. Take them to the 2nd floor. If you are a handicapped patient or cannot walk very far and are having a driver drop you off, have the driver pull up to the drop-off circle located at the Riddle Hospital Cancer Center, which is located on the ground floor of Health Care Center I. Proceed through the automatic doors and take the elevator to the 2nd floor. We are in Suite 209.